I’ve written a lot about horror games in the last few years – and not without good reason. What was once solely the domain of Resident Evil and budget titles is now one of gaming’s more vibrant cultures; repeatedly pushing the envelope when it comes to both systems and narrative. Just consider, for example, 2010’s Amnesia: The Dark Descent, or the recent Outlast: games that placed their bets on pacing and restraint and won, becoming bona fide horror sensations, seemingly overnight. The Dark Descent in particular, has become a poster child for videogame horror. Even a quick glance at YouTube should prove that it succeeds, more than any other game, at spooking the masses. Scores of videos have been uploaded documenting the game’s scares, and an equal number of words have followed in turn, trying to explain why said scores of videos have been uploaded. Since its release, Frictional Games’ work on the game has been applauded for ripping control away from players, trading pray-and-spray for hide-and-seek and birthing a design ethos that’s now widely mirrored across the industry. It would be presumptuous to claim that Amnesia was revolutionary (especially in light of its oft-overlooked spiritual forerunners, Fatal Frame and Forbidden Siren), but there’s little doubt that it has burned a deep, dark hole into our collective psyche. Hopefully, our collective psyche can take another. The Dark Descent’s sequel: Amnesia: A Machine for Pigs has just been released, developed by Dear Esther creators thechineseroom; and again, takes brave steps out into the horror landscape. Whether anyone will care to follow, however, remains uncertain. A Machine for Pigs, like its predecessor, is a radical departure from the norm. I suppose it’s telling that I’d even hesitate to call it a horror game. Things jump out and shout ‘boo’ on occasion, and the entire game is so heavily clouded in fog you’d be forgiven for checking your contrast; and yet to call A Machine for Pigs a horror game would bring prominence to its scares, when its priorities clearly lie elsewhere. 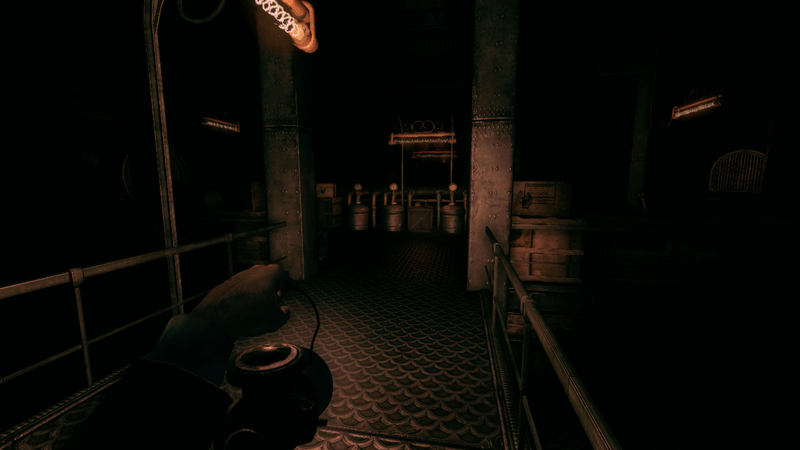 To get the basics out of the way, in a similar vein to its predecessor, Amnesia: A Machine for Pigs is a linear, first-person spook-‘em-up, with emphases on puzzle-solving, mashing the escape key, and feeling the jeebies. In a departure from The Dark Descent, however, any overt gamification has been dropped: the sanity and health meter are a thing of the past, as are tinderboxes, laudanum and the entire concept of an inventory. This newest entry in the series prioritises a looming sense of malice above explicit scares, and thus is presented in a much more low-key, experimental style. Put simply, despite their many fundamental similarities, A Machine for Pigs and The Dark Descent are very different games. Not surprising in the wake of such a shift, A Machine for Pigs isn’t going down well with fans of the first. If the game’s wider reception thus far has proven anything, it’s that A Machine for Pigs probably won’t set the scene on fire like its forerunner did; a shame, considering it’s quite confidently one of the best horror games of the last ten years. Perhaps it’s easiest, for the sake of review, to start from the beginning. A Machine for Pigs’ epigraph – Samuel Johnson’s oft-quoted, ‘He who makes a beast of himself gets rid of the pain of being a man’ – begins proceedings by stressing the game’s primary concern: the moral relativism that justifies ‘beastly’ men. 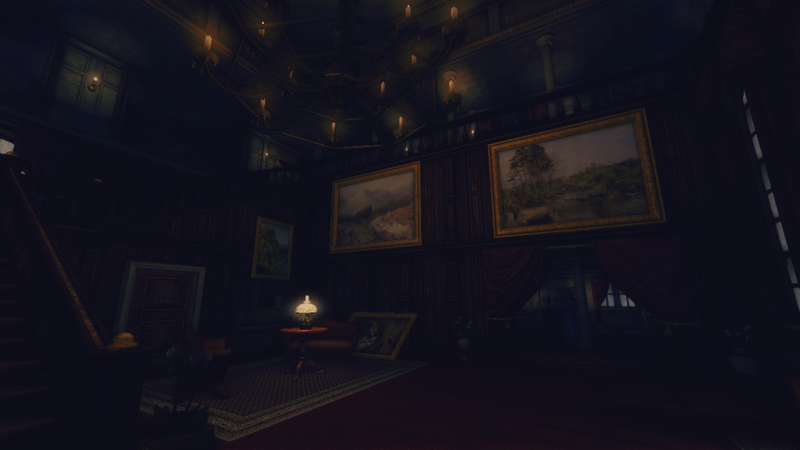 Most of the game’s narrative ties back into Johnson’s quote in one way or another, an idea proven in the game’s first area: a turn-of-the-century London estate that – on the surface – is excruciatingly detailed and uncharacteristically nice. It’s a refreshing glimpse of civilization for a series renowned for its isolation, and yet one tainted by images of slavery, inequality and imperialism; drawn into focus by the house’s owner, a typically naughty industrial-era factory owner, who’s eager to excuse his own sins by highlighting those of others. Stuffed exotic animals, traditional images of ‘mad’ women and romanticised depictions of working class labour are all present in abundance, and tie in with a number of written notes scattered around the house that signpost the owner as a ‘beast’ deserving of scorn. You might think that a 19th Century robber baron is an odd target for the game’s ridicule, yet the tale that spins out of him proves surprisingly relevant. Armed with the fleeting suspicion that something wicked lies beneath, the player is led on a six-hour breadcrumb trail out of his estate and through London’s impoverished factories, before descending into the titular machine, on a journey into absolute depravity. Perhaps the greatest praise I can sing of A Machine for Pigs is that – through sheer force of atmosphere – it led me into a state of existential dread: of the calibre usually only experienced in man’s darkest, Nirvana-infused teenage years. This game doesn’t merely document the transformation from man into beast, as so many have done before, but offers it in a historical and interactive context that speaks to the world beyond its own. It’s creepy and enlightening, in equal measure. Of note is the player’s inevitable complicity in the whole affair. 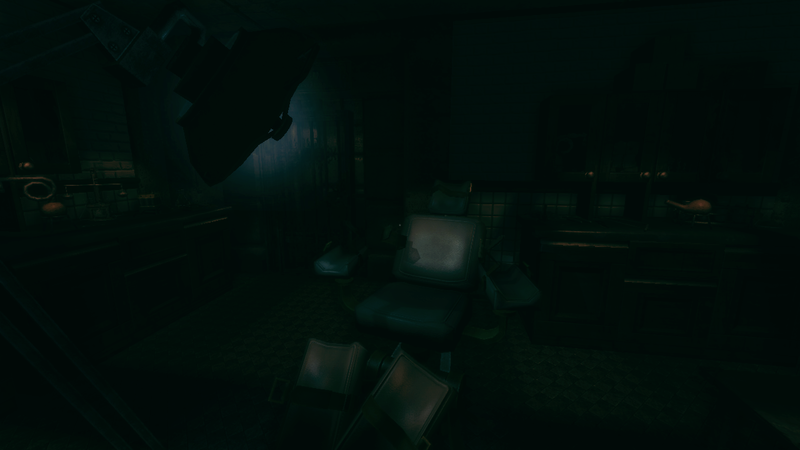 Especially in light of some of the narrative’s later, gorier turns, the game’s story comes to suggest a lot about the nature of interactivity. Much like Spec Ops: The Line, it dares to consider the negative consequences of our actions, and to question videogaming’s tendencies towards self-affirmation, particularly with regards to the perpetuation and endorsement of violence. As a result, in a turn for the genre, viscera in A Machine for Pigs carries weight; it isn’t a throwaway trigger for horror, but rather an idea to be explored, often in unsettlingly emotional detail. That isn’t to say that it doesn’t have a good bit of splatter, but much like a classic horror film, it will often shy away from explicit representation and ask its player to fill in the gaps, informed by other videogames, including its predecessor. An unseen, whimpering slave, or the buzz of flies under a reddened sheet work in tandem with the game’s slower pacing and grim tone to create an atmosphere of despair much more convincing than any Barker-esque monstrosity, and greatly expands on the original game’s ethos of ‘less is more’. A Machine for Pigs is a story of unparalleled brutality, told tastefully to the very end. Of note is a gallery nestled in the game’s opening, brimming with images that reflect on the people of Amnesia’s London and the machine beneath their feet. One prominent image is Pieter Bruegel the Elder’s depiction of the tower of Babel, a painting that resurges numerous times, and, like those around it, continually inherits new, twisted meaning as the player progresses through the game. After a short time in its innards, it becomes clear that the ‘machine for pigs’ is, in itself, Babel-esque, from its absurd scope through to the increasingly indulgent and prideful origin of its construction. The only difference is that Amnesia’s Babel is not built to reach heaven, but rather hell, spanning downwards towards the centre of the earth. It’s an idea supported by what is perhaps the worst new addition to the series: painfully contrived, carelessly scattered audio logs. One such device – in keeping with the game’s trend of attaching the most innocent, rustic titles to devices of inconceivable evil – details an ‘egg’ at the centre of the earth, a metaphorical image that, like Nimrod’s heaven, aims to disguise humanity’s worst aspects with good intentions. It’s clear from the beginning that the machine’s purpose is sinister by any rational definition, and yet it’s the intention behind it – its creator’s unravelling belief in it as a force for good – that proves most sinister of all. The image of Babel is a reminder that – even at its most disgusting – this machine is simply the product of human weakness. If the first Amnesia tackled the good in the hearts of evil men, then A Machine for Pigs deals with the vice versa, and resultantly proves much more terrifying. In this vein, further paintings – images of idealised man and God the Father – stand in stark contrast with London’s hollow decadence, creating a serene-yet-unnerving aesthetic that works to great effect in getting under the player’s skin, while a number of equally unnerving images surface within the game engine itself, removing the game’s thematic concerns from audio logs and documents – a big problem with The Dark Descent – and instead physically representing them throughout the environment. A standout moment, right before the game’s initial descent, depicts a slaughtered pig hung on a crucifix, perhaps best summing up one of the game’s fundamental conflicts – man as a divine being versus man as an animal. A Machine for Pigs’ focus on the less-seen politics of turn of the century Britain gives it a voice all its own. 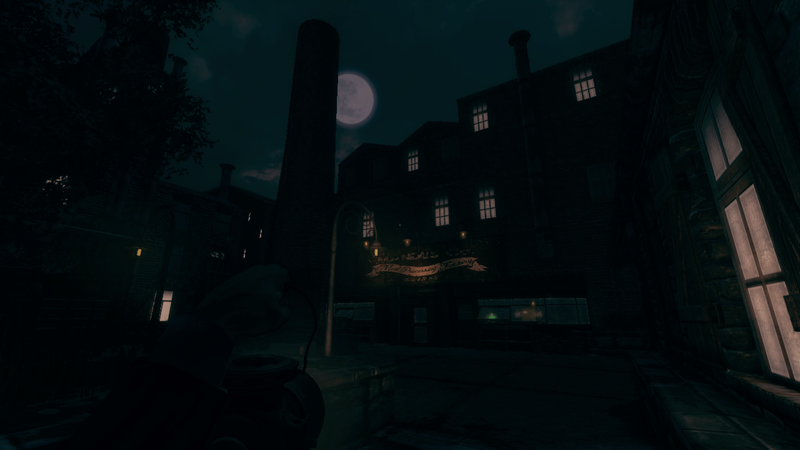 As the game progresses, and the ornate grandeur of turn-of-the-century London is replaced with a newer, gorier scenery, it becomes increasingly difficult to remain indifferent. It speaks to the narrative design that, at points, the titular machine can even become admirable. In any other context, it would be pure evil, and yet here, we’re given cause to empathise. The machine’s omnipresent architect, cynical though he might be, isn’t an antagonist so much as a supporting role, offering continuing and – some might argue – valid justifications for his creation. Regardless of where you stand, the game’s argument on either side is bittersweet. A Machine for Pigs‘ narrative doesn’t treat its player like a child: neither beast nor man get away unscathed. Although all told, perhaps the greatest credit to A Machine for Pigs’ storytelling is that I’ve come this far without mentioning the game’s chase sequences, which – as I’m sure – will become the core of the game for its YouTube audience. I’d imagine many have written on this subject already, but even without the story to back it up, A Machine for Pigs is still highly entertaining. As before, tension reigns supreme, this time aided by thechineseroom’s stellar level design – especially in the game’s great final encounter – that forces you to confront the darkness, and the creatures that lie within. 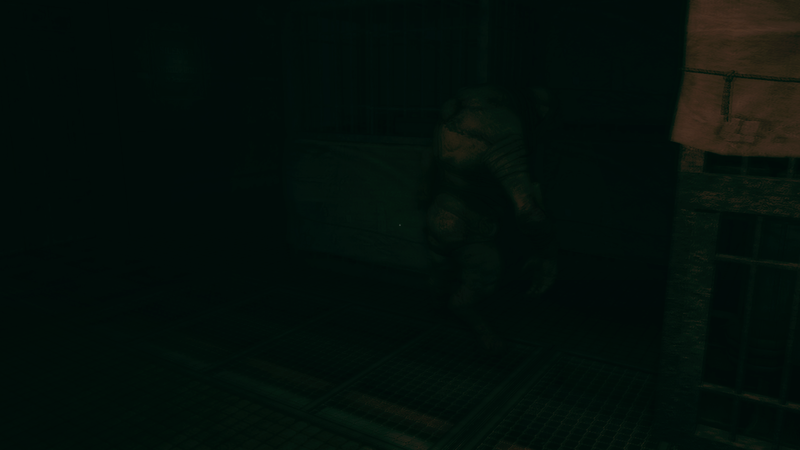 Small details define every encounter, for example, the flicker of your lamp when a monster approaches, building tension in a manner similar to Alien’s famous scanner; or the claustrophobic design of a particular late-game area that requires you to squeeze through a doorway merely inches behind one of the game’s squealing, half-pig, half-man enemies. As with The Dark Descent, there’s no way of fighting back, and you’ll likely find your finger hovering over the escape key for most of the game’s more stressful encounters, just like old times. It doesn’t quite share the raw, white-knuckle anxiety of its predecessor, but A Machine for Pigs makes that concession so that it can deliver a subtler, reflexive form of terror. Beyond the ‘boo’ moments, it’s clear that the real scares of thechineseroom’s work come from a cohesive narrative, sound design and art style, working together to present a world that oozes with a believable, conceptual representation of evil. Ultimately, the mechanical changes between the first and second game mean little, because they work towards a familiar purpose: terror. The lantern doesn’t need batteries, because darkness isn’t our real enemy. We don’t need to care for a health meter, because we’re already dying; and we don’t need to watch out for our sanity, because we’re already insane. The real terror of A Machine for Pigs isn’t found in a supernatural evil, or even a scientific accident, but rather a deliberate suffering, inflicted by man, in the name of man – and that’s scary regardless of how many meters are floating on-screen. It’s not perfect by any stretch of the imagination – but it comes close. 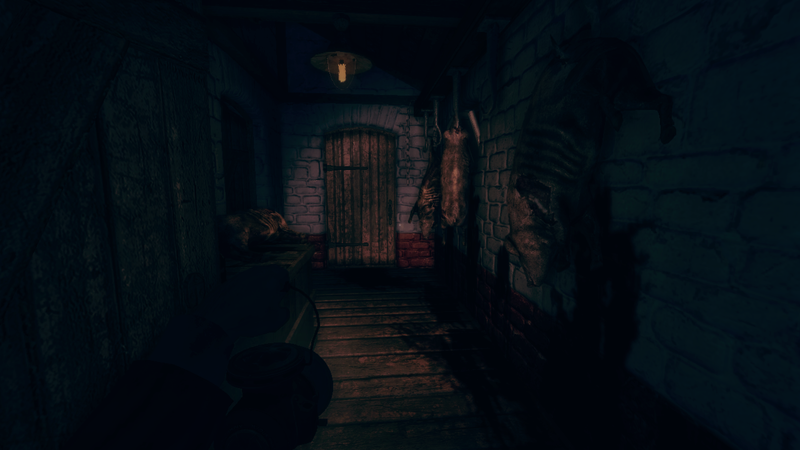 Whether taken as an ambient experience or a story to be uncovered and chipped away at like some rare Mayan artefact, Amnesia: A Machine for Pigs is a brilliantly unsettling, complex, and thoughtful game. The chapter titles sound like rejected Twilight Zone episodes, and the mechanics lack the nuance of the medium’s earliest fare, let alone most modern games, yet that shouldn’t detract from its pervading quality. This is a great experience, and one you would do yourself a disservice to miss out on, fan of the genre or not. You can buy Amnesia: A Machine for Pigs on Steam, here. This entry was posted in Videogames and tagged A Machine for Pigs, Amnesia, Artsy Fartsy, horror, review. Bookmark the permalink.